The fascinating story of Jews who live and prosper in a majority Muslim country where religious discrimination and racial hatred towards any group are suppressed by the government and there is no aggressive nationalism. 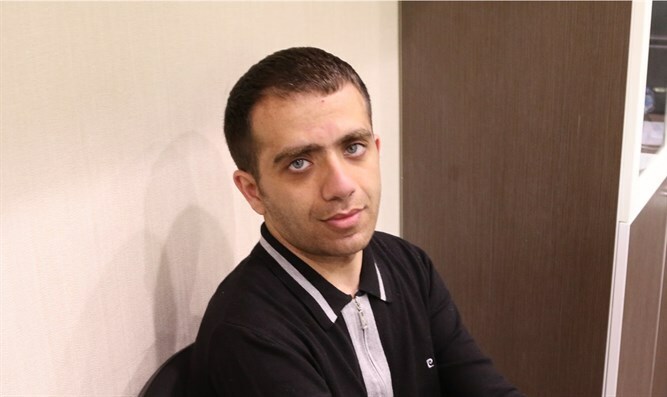 Yunis Abdullayev is a freelance writer and researcher on International relations who lives in Baki, Azerbaijan. He graduated from Cyprus' Eastern Mediterranean University and specialilzes in European Studies. Azerbaijan has been a silent and favorable home to a Jewish population since the ancient period and nowadays, it still is. Jewish communities continued flourishing in various parts of Azerbaijan for many centuries. The religious and cultural tradition of ethnic Jews in Azerbaijan is considered a part of the rich legacy of people of Azerbaijan. The Jews usually functioned as an active ethnic nation that played powerful and considerable role in the political and economic administration. Moreover, they contributed to development of scientific and technological services in Azerbaijan. Jews are considered a reliable nation for Muslims in the eastern area of the Caucasus. Muslims and Jews have been living together in kindness and friendsip, always trying to respect each other’s religious, cultural and social values. In addition, members of both religious groups are interested in maintaining that friendship. No Jew has seen racial or religious discrimination in Azerbaijan as yet. Ethnic Jews in Azerbaijan are divided in such groups as Mountain, Askhenazi and Georgian Jews. The Mountain Jews are one of the especially old ethnic communities in the north-eastern territory of Azerbaijan, whereas Askhenazi and Georgian Jews formed their communities in Baku starting in the 19th century. Mountain Jews are descendants of people who were forced to move to the Eastern areas of Caucasus-Azerbaijan and southern Dagestan, because of the annihilation of the kingdom of Israel by the army of Assyrian empire in th 8th century B.C.E., 2500 years ago. Furthermore, the Mountain Jews also have genetic ties with some tribes in Iran who were both forcibly and voluntarily moved to the Caucasus by the Sasani dynasty which aimed to strengthen the empires' security along the coastline of the Caspian sea. The process of the resettlement of Jews continued during the Arab Caliphate, under the Mongols, Safavi and in later times. The modern language of the Mountain Jews has a close connection to a dialect of the Persian language called Juhuri or Tat. Another major Jewish group is called the Askhenzazi Jews, those who came from Russia and European countries. Historical sources show that there are two reasons, why Askhenzai Jews arrived in Baku. The first is that Baku became an industrialized city, and the second is related to anti-Semitism in Russia and Europe. In addition, there are other minor Jewish groups in the eastern area of the Caucasus who are named Kurdistan Jews, Krimchark, Karaim and Sephards. Krimcharks and Karaims are genetically related to the Jewish population in Crimea. Both speak the Turkish language. The arrival of Krimcharks and Karaims in Azerbaijan was the result of marches undertaken by the Crimean Khanate to Caucasus. The resettlement of Kurdistan Jews in Azerbaijan was for one reason only - their suffering in the Russia-Iranian war. During the Second World War, numerous Jews from Poland, Ukraine and Belorussia moved to Azerbaijan in order to escape from the soldiers of Nazi Germany. In the 19th century, Baku lost its "middle ages" image and became an industrialized city due to Western and Russian industrialists. The exploration and development of oil resources in Baku generated the next wave of movement of Jews to Azerbaijan. Russian and European Jews were especiallhy interested in the exploration of new oil resources in Baku. As a result of the migration of Askhenzai Jews, new economic and social life was restored in city and Jewish financiers and bankers were able to transform Baku into a modern city, because they caught the attention of other capital cities. According to documents that were prepared by Russia, Jewish intellectuals who acted to encourage the exploration of oil resources were mostly representatives of the professional class: engineers, scientists, doctors and accountants. By 1898, Azerbaijani oil production reached 8 million tons, exceeding oil production in the United States. By 1901 the Baku oil industry supplied more than half of the world´s oil (11 million tons), and 95 per cent of all Russian oil. At the end of the nineteenth century, international companies, including the Rothschild, Nobel Brothers, and Vishau conerns started to make substantial investment in Azerbaijan's oil exploitation industry. The oil boom enhanced the number of Jews, and there were 9.689 in 1913. Alphonse Rothschild, leader of one of international petrol companies, not only played vital role in first Caspian oil boom, but also provided the loan with his banking capital magnate in France for the construction of the Trans-Caucasian railway aimed to connected Baku with the Black Sea port of Batumi. After the construction of the railway was completed, Alphonse Rotshchild founded the Caspian-Black Sea Company (CBSC), which became the leading company of the Baku Oil Council (or the Cartel). The Baku Oil Council was a syndicate of private companies involved in mining, refining and processing oil. Numerous Jewish engineers and oilmen who occupied high positions in Caspian-Black Sea Company fulfilled technological and economic services for the development of the oil industry in Baku. At the beginning of the 20th century, a new technological achievement with the capability of refining oil more easily was invented in Baku by a Jewish chemical engineer. In 1917, the consequences of the First World War entailed revolution in Russia, where the Tsarist regime was toppled by hungry people. As the result of the February revolution, numerous nations in different parts of Russian empire - such as those in Eastern Europe, South Caucasus, Siberia and Central Asia - tried to promote their self-determination. When the Bolsheviks took control of the government in Russia, the Trans-Caucasus Federation consisting of three nations-Azerbaijani, Armenian and Georgian - was formed. In May 1918, Georgia, Azerbaijan and then Armenia declared their independence. The Azerbaijan Democratic Republic was the first modern, secular and democratic country in the Muslim world where all ethnic nations were granted equal opportunities and fundamental rights, while women were given the right to participate in elections. Prominent Jews showed themselves to be active and efficient figures in the administration of the short-lived first Azerbaijan Republic. For instance, some Jews became ministers in the government of the first democratic republic in Asia. Mr. K. Lisgar was minister for food provisions, Mr. R. Kaplan was minister for religious affairs, Mr. Y. Gindes, was minister for health, and Mr. M. Abesgauz was deputy minister of the Treasury. A Zionist activist, Mr. A. Bushman, was an elected as member of the Majlis. Three Jewish Russian-language publications, Kavkazskiy Yevreyskiy Vestnik, Palestina, and Molodezh Siona were widely circulated in Azerbaijan. During the ensuing Soviet period, Jews played an essential and beneficial role in the improvement of life as they fulfilled vital positions in education, science, art, medicine and industry. Baku Jews also brought modernization to the Azerbaijani music and theater world. Azerbaijani composers were educated by Jewish teachers that were recognized as famous musicians in the local Society Union. One Jewish historian wrote in his book that Baku was one of the centers that kept diverse culture and different identities alive..
After the collapse of the Soviet Union, Azerbaijan once again acquired independence, in 1991. The constitution of new Azerbaijan Republic is based on fundamental principles of the first Azerbaijan Democratic Republic. Secularity, Legality and Democracy have a central place in the Constitution of the Republic of Azerbaijan and are offered to all citizens in the country. Religious discrimination and racial hatred towards any group are suppressed by the government . Aggressive nationalism is close to zero iin the community and Israel's prime minister was welcomed warmly when he visited the country. 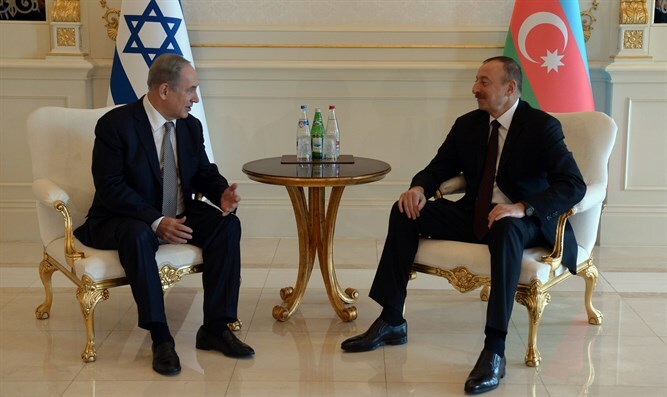 Jews continue to pursue comfortable lives and enjoy freedom of activity in Azerbaijan. They have synagogues, schools and cultural centers. They can enjoy fundamental rights and opportunities to publish materials concerning their religion, culture and national identity. The Jewish role in science, music and industry is as flourishing as ever.